Build a string of github organization twitter tags. Args: github_org (str): The Github organization. Returns: str: The concatenated string of twitter tags. Tweet the specified Bounty event. Args: bounty (dashboard.models.Bounty): The Bounty to be marketed. event_name (str): The name of the event. Returns: bool: Whether or not the twitter notification was sent successfully. Send a Slack message for the specified Bounty. Returns: bool: Whether or not the Slack notification was sent successfully. Build message to be posted to integrated service (e.g. slack, discord). Returns: str: Message to post to slack. Send a Slack message to the user's slack channel for the specified Bounty. Send a Discord message to the user's discord channel for the specified Bounty. Returns: bool: Whether or not the Discord notification was sent successfully. Send an email for the specified Tip. Args: tip (dashboard.models.Tip): The Tip to be marketed. emails (list of str): The list of emails to notify. Returns: bool: Whether or not the email notification was sent successfully. Send a Slack message for the specified Tip. Args: tip (dashboard.models.Tip): The Tip to be marketed. event_name (str): The name of the event. Args: kudos_transfer (kudos.models.KudosTransfer): The Kudos Email object to be marketed. Build a Github comment for the specified Bounty. Args: bounty (dashboard.models.Bounty): The Bounty to be marketed. event_name (str): The name of the event. profile_pairs (list of tuples): The list of username and profile page URL tuple pairs. Returns: bool: Whether or not the Github comment was posted successfully. Post a Github comment for the specified Bounty. Get the amount in USDT of all current open and submitted work. Returns: float: The sum of all USDT values rounded to the nearest 2 decimals. Get all current open and submitted work. 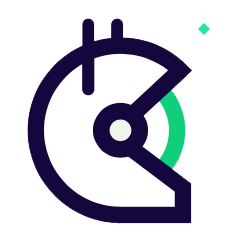 Returns: QuerySet: The mainnet Bounty objects which are of open and submitted work statuses. Post a Github comment for the specified Tip. Args: tip (dashboard.models.Tip): The Tip to be marketed. Post a Github comment for the specified Kudos. Args: kt (kudos.models.KudosTransfer): The KudosTransfer to be marketed. Build the snooze copy for the associated Bounty. Args: bounty (dashboard.Bounty): The Bounty to create snooze copy for. Returns: str: The snooze copy for the provided bounty.